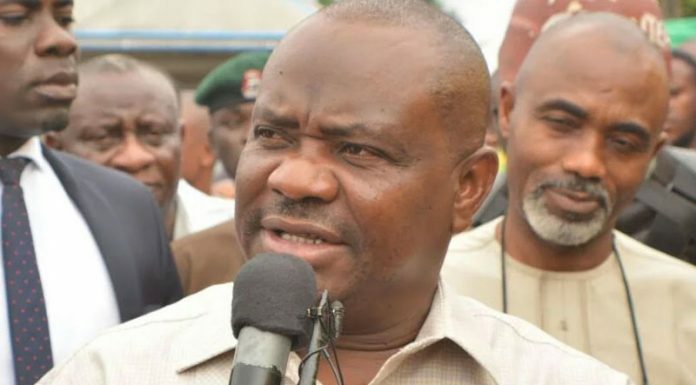 Rivers State Governor, Nyesom Wike, has declared that the Independent National Electoral Commission (INEC) lacks the capacity to conduct credible polls in 2019. The governor said Nigerians should not be deceived by the statements usually released by INEC because the commissionâ€™s works negate her mandate. He spoke at the Government House Port Harcourt yesterday when he granted audience to the Senate Committee on INEC. He said: â€œLetâ€™s not deceive ourselves, INEC is not prepared for credible elections. If there is an agency that is not prepared for 2019, it is INEC. I have no confidence in INEC. There is no amount of INECâ€™s preparation that will convince me. â€œINEC chooses how it interprets laws to suit those they support. They choose the court orders to obey and the ones to disregard. In one state where it favours a particular, they obey. In another state , INEC will claim they are yet to see judgments that are not in favour of the party they support â€œ. He said in 2019, any attempt by INEC to negatively manipulate the will of the people will be resisted. â€œIn 2019, whoever wants to manipulate the process to destroy the outcome, the people will come after that person and the family. â€œWe will not agree that for anybody to rig elections here in Rivers State. Nobody will do anything contrary to the will of the people â€œ, he said. He said the results are declared at the polling units, but INEC goes ahead to manipulate results at the collation centre as was done in Osun State. The governor said the National Assembly has budgeted money for INEC for them to squander, but not for the conduct of credible elections. Wike added that the refusal to sign the amended Electoral Act is a ploy by the APC-led federal government to rig the 2019 elections in connivance with INEC. He said despite the fact that the National Assembly continues to amend the Electoral Act in favour of the Presidency, the APC-led federal government has continued to generate excuses why they will not sign the amended Electoral Act . Chairman of the Senate Committee on INEC, Senator Suleiman Nazif, said the committee was in the state to carry out assessments on the preparedness of the commission for the conduct of credible elections in 2019. He said the committee carried out oversight functions on the available card reader machines, voter registers and other facilities needed for the 2019 polls.